In addition to your normal travel essentials, there are a couple more items you should plan to bring with you to the ACDIS conference in Kissimmee, Florida. Business cards: Networking is one of the most important aspects of the conference. Be sure to bring plenty of business cards so you can share your contact information with colleagues and enter drawings in the exhibit hall. Tip: When you exchange cards with someone, write something about yourself and a takeaway from the conversation on the back of the card. That will make it easier for everyone to recall the exchange once they get back home and begin to sort through their collection of business cards. Print outs/notebooks: The conference app will have all the presentations and supplemental materials available within it. Attendees will also receive an email with a link where they can download the materials ahead of the event. Take some time to map out your top two session choices for each time block. (That way if one session is too crowded or not quite the focus you expected you have another option already identified.) Print these out for yourself and take the time to put them in a three-ring binder. That way you can take notes directly on the slides and have tangible, educational keepsake from the event. Tip: Bring your binder up to the speaker at the conclusion of the session and ask him or her to sign it and provide a motivational quote for you. You can collect these and then create a display board for your colleagues once you get back home. Pen swap: ACDIS’ Certification Coordinator Penny Richards organizes a “stationary swap” every year as a networking tool. 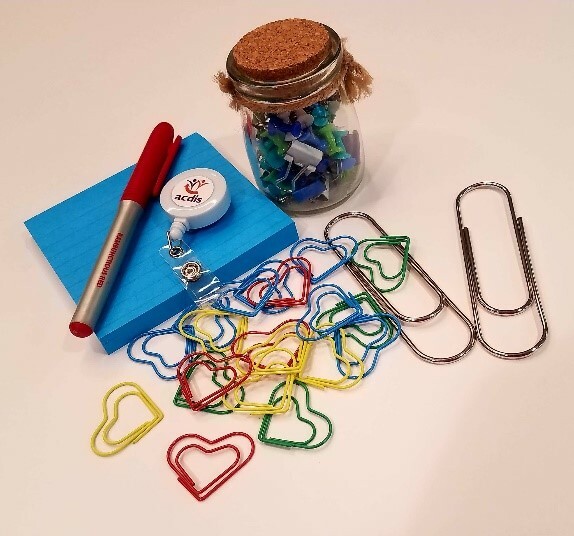 To join in, pick up a fun pen or two and a small stationary item (like animal shaped paper clips, post-it notes, super-star stickers etc.). Wrap these in a small bag with a note of encouragement, a short sentence or two about your CDI experience, and your business card. Drop your package off at the ACDIS registration desk on Day 1 starting at noon through Day 2 at noon, and take a ticket. Then come back after noon on Day 2 to retrieve a bag of your choice. 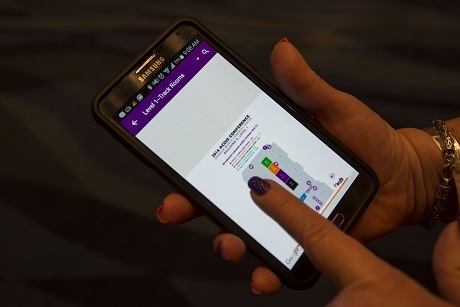 You can connect to your new pen-swap buddy via the conference app or follow-up after the conference ends to compare notes and share experiences from the conference. Snap a selfie with your stash and post it to the conference app.